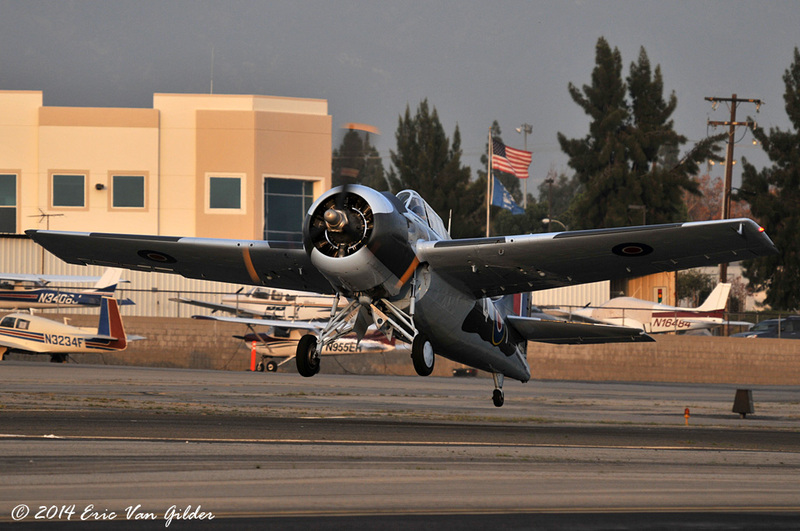 The Grumman F4F Wildcat was the frontline fighter of the US Navy at the beginning of WWII. What is interesting is that the first 95 aircraft were built and exported, five went to Canada and 90 went to the British. 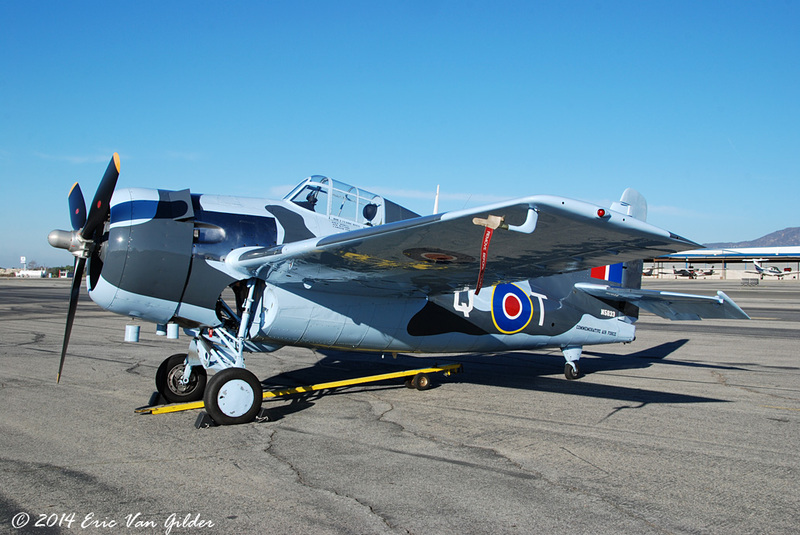 The F4F Wildcat was the first American-made aircraft to shoot down a German aircraft. On December 25, 1940, 2 "Martletts" from the Royal Navy's 804 squadron shot down a Junkers Ju-88 near Scapa Flow. 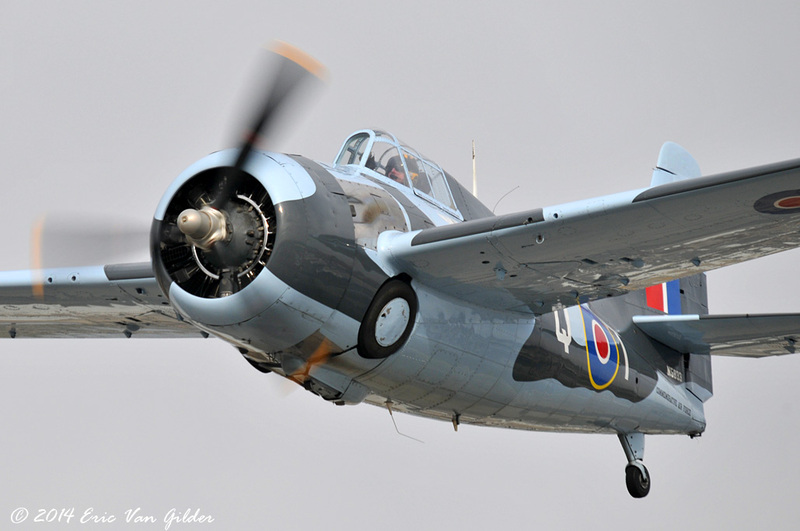 In US Navy service, the Wildcat performed well. Joe Foss is the leading Wildcat ace with 26 victories. 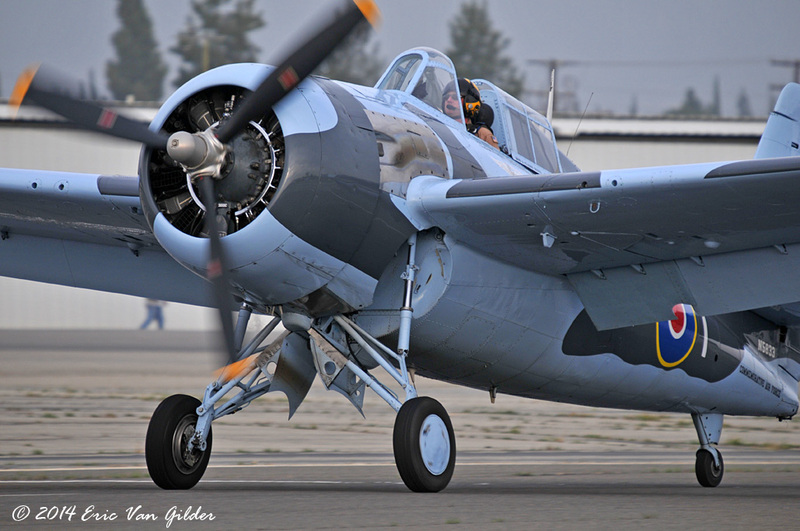 Despite being inferior in multiple aspects to the Mitsubishi Zero, the US Navy pilots were able to hold there own. Development of the "Thach Weave" and other strategies paid off for this rugged fighter. 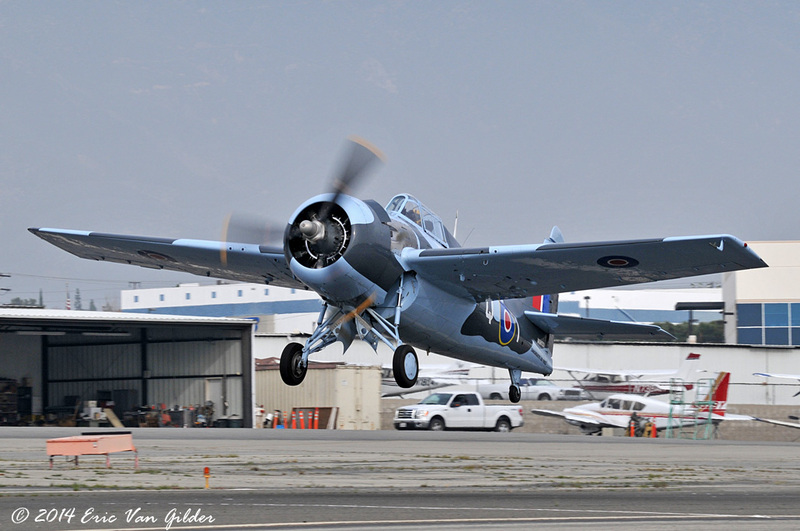 General Motors also built the Grumman F4F Wildcat while Grumman concentrated on building the new F6F Hellcat. The is one of the General Motors built Wildcats (N5833). 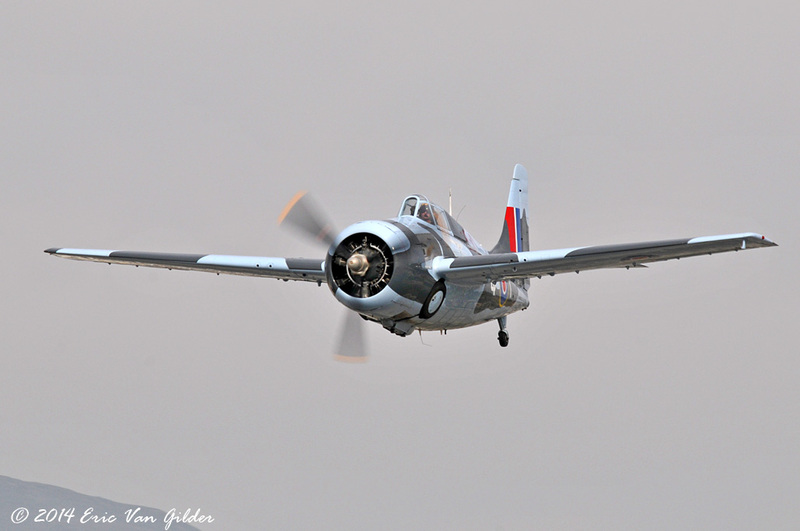 As a GM built aircraft, it's designation was FM-2. It is painted in Royal Navy markings. 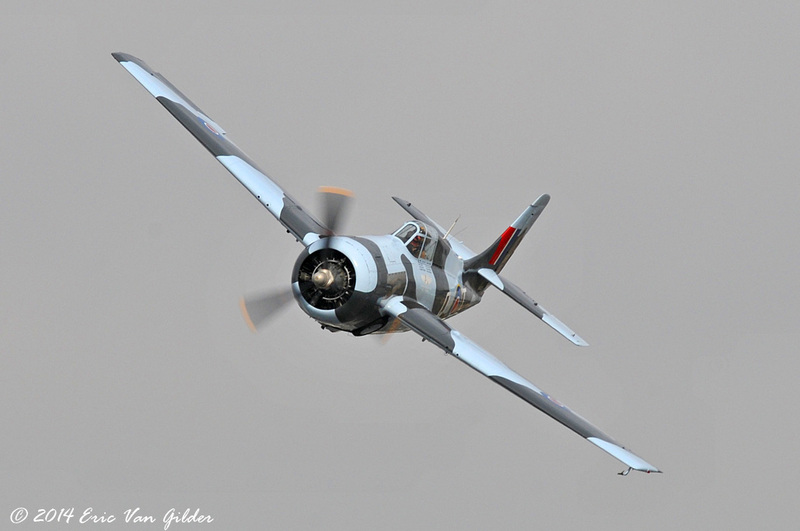 The Royal Navy called the F4F/FM-2 the Martlett.